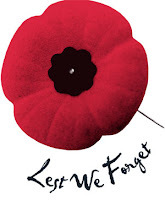 Have you ever wondered why the red poppy is a symbol for veterans and of Veterans Day in the United States and Canada? Read all about it here: Experience Optimism: With grateful hearts. Thank you to our veterans. You deserve our gratitude every day.